Franklin Averhart, Visting Professor for York University teaching E-Commerce and other assigned courses. In addition, to teaching a variety of courses from several other Universities. He is employed with Oversound Productions in the leadership capacity serving as Vice-President of Marketing for the past eight years. During his employment he has won numerous awards and highlights. He was awarded the Certificate Excellence 2013 and 2014 respectively. Latasha has over a decade of practical management experience. She has years of healthcare operations and project management experience. She has almost five years of classroom teaching experience. She has completed extensive research in telecommuting. She has a published a dissertation with the results of her study of job satisfaction for office-based versus telecommuters. Daniel Bryant holds an MBA from Ashford University and has amassed 7 years’ experience in human resource administration, operations management and most notably, employee training and development. Daniel’s emphasis with regard to training and development is on employer return on investment from adhering to best practices in human resource management. Daniel provides mentor training workshops for Milwaukee area manufacturing organizations and prioritizes evaluation upon conclusion of training in the areas of student learning outcomes and retention in employment spaces. Daniel is an expert in training design and the use of multiple mediums during training facilitation and strives for continuous improvement in all facets of workplace functioning. Additionally, Daniel and his spouse, a Dermatologist at Aurora Advanced Health Care in Milwaukee, WI, are currently developing a Medical Scribe Training Program for Aurora, set to pilot in 2016. Nicole has extensive experience in higher education, healthcare and coaching. She has a passion for online education and has been teaching at the university level for 8 years. Nicole has held administrative and management positions in multiple industries, which has strengthened her leadership, coaching and communications skills. Rhonda has worked as an accountant since 1996 and brings that wealth of experience and a passion for working with numbers to the classroom. Mrs. Ware draws on her practical knowledge of internal and external auditing, budgeting, cash management, and monthly processing to help her students understand how their lessons apply to accounting in the real world. 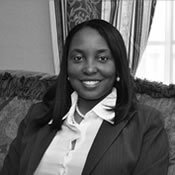 Dr. Dianala Bernard is an achievement-oriented educator/researcher and financial professional with in-depth knowledge and experience designing, developing, teaching, and evaluating online and onsite courses. Her areas of expertise are administrative leadership in academic program planning, curriculum and instructional design, educational evaluation and assessment, and analysis. Dr. Bernard’s leadership role is also focused on best practices in organizational strategic initiatives, experienced in leading cross-functional teams. She is fluent in English and Spanish with strong cultural competency skills. Becky graduated with her Doctorate from Argosy University in Atlanta, GA in the field of Business Administration with specialization in Management. She is a healthcare executive with 15+ years of experience in building strong teams, providing quality care, and creating financially sound facilities. She has experience in acquisitions through her leadership and management experience. She has experience in acquisition and multi-building oversight. In the current changes and struggles in the healthcare field, her strong leadership abilities and hands on management style has enable her to advise her employees on providing an environment of quality of care as well as establishing a financially sound facility. With her extensive experience, Becky today forms part of our faculty and staff, bringing her enthusiasm to our students. Dr. De Loatch honed in on her passion to push students toward a pathway of achievement and a clear understanding of opportunities presented for post-secondary and career rejuvenation. She acknowledges that one of the greatest obstacles presented to her as an educator/mentor was understanding the thought process of students and the disconnect that occurred between high school and options for post-secondary. Her success in education is a direct result of her ability to utilize varied thinking, streamlined goals and objectives, as well as focus on the big picture. Using a variety of hands-on approaches coupled with a listening ear, compressed with a true commitment to the success of student achievement she has witnessed many disconnections evolve into fruitful careers. Shawni Jackson-Triggs, Ph.D is a native of St. Louis, Missouri, USA. She is the former owner of SLJ Consulting & Coaching, LLC, a firm that specialized in Business Development, Consulting & Coaching. Dr. Jackson is the founding director of the Bob Virgil Center of Entrepreneurship at Harris-Stowe State University in St. Louis, Missouri and has assisted many people within the St. Louis Community to start and develop their business. She is also an expert in online education and has attended many conferences and workshops to develop her skills and love for online learning. As part of her asthma advocacy, Dr. Jackson-Triggs serves on the Washington University Asthma Symptom based adjustment of Inhaled Steroid Therapy in African American children (ASIST) Research Advisory Board in St. Louis, Missouri, USA. Throughout her career, Dr. Jackson-Triggs excellence in her profession and community services has been acknowledged by several awards and recognitions. 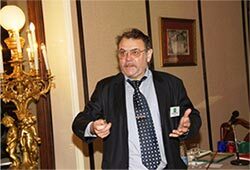 Dr. Vladimir Kuryakov has more than 20 years of R&D experiences. After finishing military carrier he moved to sales executive position where he established the Russian distribution for Daewoo Electronics Ltd and Grundig International Marketing and Sales GmbH.Dr. Kuryakov has international marketing experience with GfK Group (market research). In 2010 Vladimir has been appointed as a Global Affiliate for Management Systems Consulting Corporation (USA). Prior to joining Management Systems Vladimir served as an Strategic Affairs Advisor to President of a large Russian manufacturing company in lighting industry with US$150M+ turnover. Bernard Koziróg, PhD, is a professor of theology and philosophy. In his academic work has promoted 10 doctors and 1017 master-degree teachers and Bachelors. With avocation historian and traveler. For 40 years his professional work was a journalist, editor and a university professor. He held many responsible functions, among others, he was a director and editor-in-chief Christian Publishing Institute, director and editor-in-chief publication “Signa Temporis”, rector of the Warsaw School of Psychotherapy and Revalidation, rector of the Polish School of Theology and Humanities, director of the Institute of Tourism Bible Countries, head of Laboratory of Philosophy and Theory of Culture Jan Kochanowski University. State University in Krasnodar (Russia) gave him the title of doctor honoris causa. He wrote 50 books.